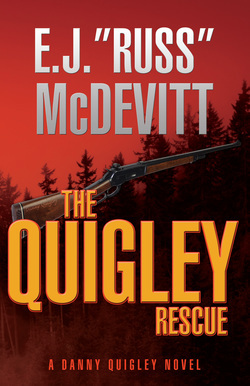 Thus starts the third novel in the Quigley series. The action is gritty and unrelenting as the SAS Special Forces duo embark on a NATO mission to rescue an American major and two important Afghan officials. It culminates in a fierce fire-fight when the alarm goes off at a pivotal moment and the Special Forces team are forced back up into the mountains, chased by hundreds of vengeful Taliban and Al Quada terrorists. in Canada, to find him, and there discovers a threat against the U.S. that would make 9/11 look like a picnic. Danny is unaware that in Washington a black operation has been initiated to terminate him, using a stone-cold killer, Pierre La Fonte, in collusion with a rogue CIA agent. The efforts to eliminate him are aided by an ex Serbian mercenary group illegally resident in Canada, who have a personal score to settle with the SAS. When he finally locates his missing friend, he is forced to demonstrate his sniping skills, using a member of his party as a live target to prevent his group from being massacred. In a second test he has to take on a massive and highly trained opponent, in unarmed combat. On discovering two buildings crammed with weapons and military hardware, the group have no option but to attempt to disrupt a planned and devastating attack against the United States. Out-manned and out-gunned and with their backs to the wire, Danny and his group make a last ‘Alamo’ stand against the highly trained enemy fighters hurled against them.